It has been awhile I never write about any porky-food, and I believe many of you foodiot out there loves this sinful meat! 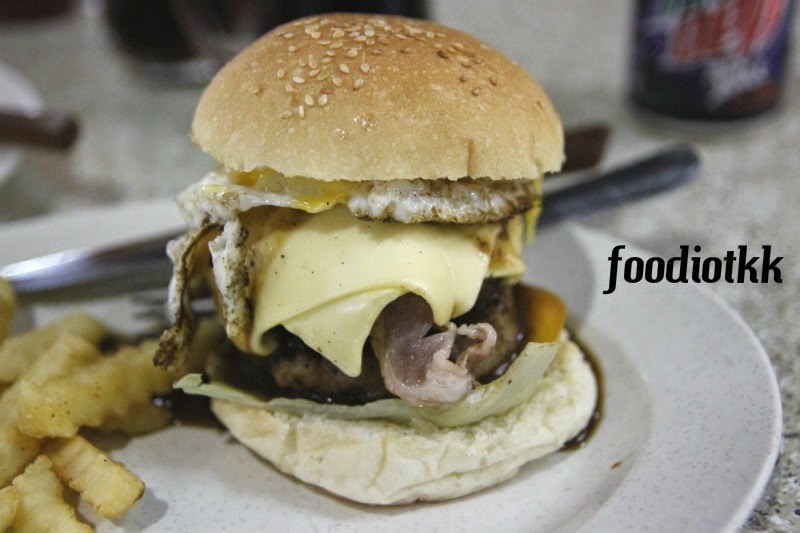 So, here introduce the Double Pork Burger at Tom & Dom Burger, Kepayan Point. 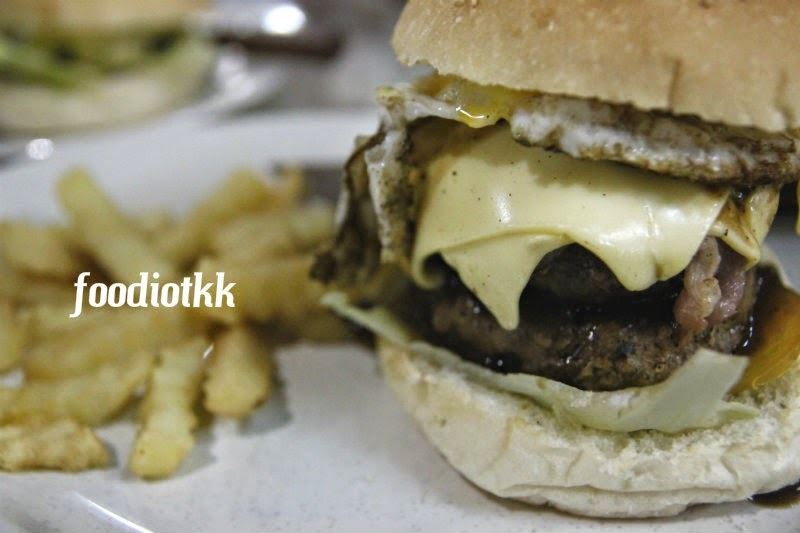 I went for The-Lot (additional cheese, fried egg and bacon) which cost me extra RM5.50. 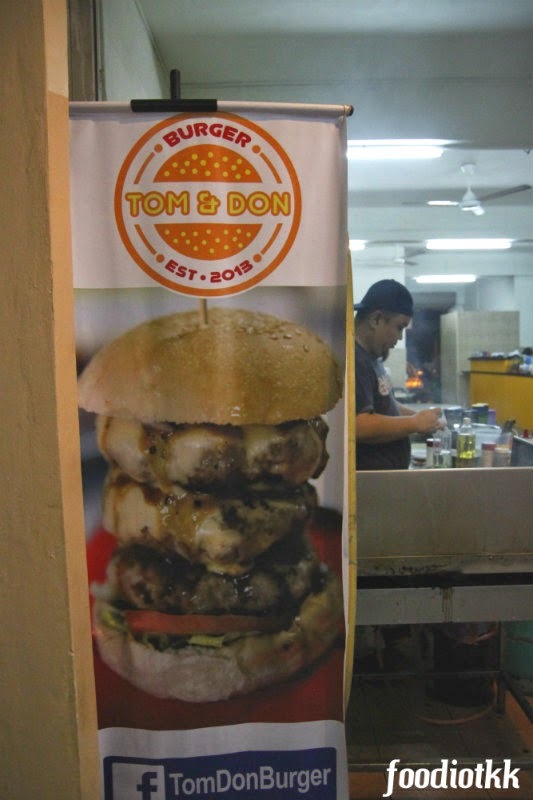 Tom & Don have been selling pork burger since last year, but this was only my first trial. The patty was pretty thick, with slightly charred on the outside, the patty was cooked to just fine to chew. 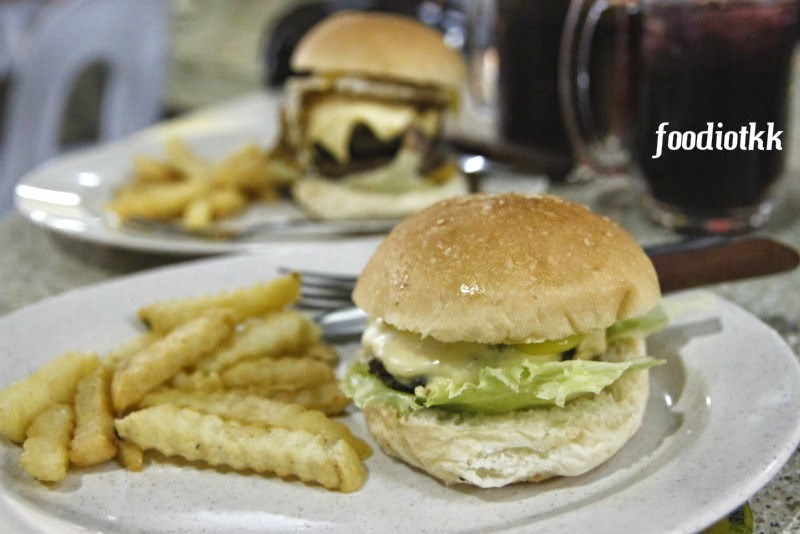 Diner can choose from Black Pepper Sauce, Honey Mustard or Barbeque. 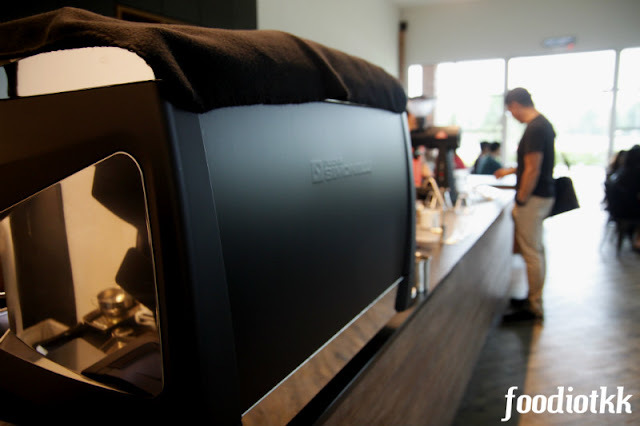 Too bad only Black Pepper was available during our visit. 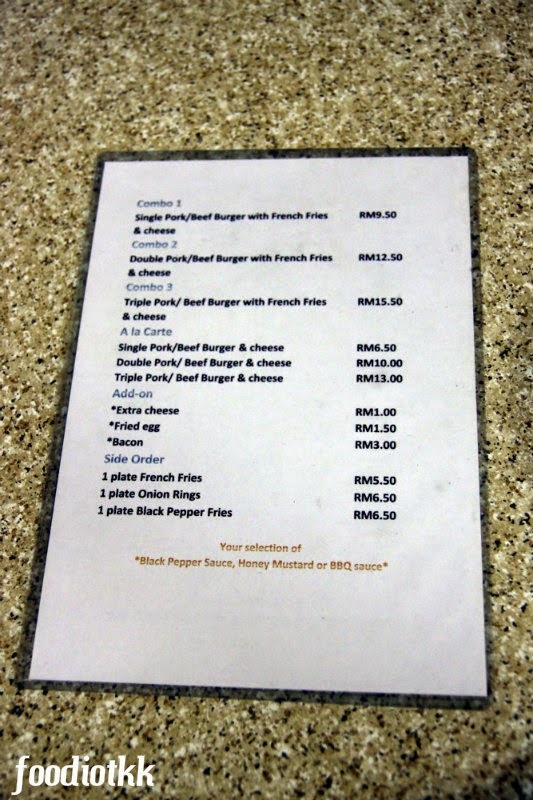 Price-wise, the burger is slightly more expensive compare to other burger bakar or handmade burger in town. What do you think? Oh yeah! Total damage for this Double Decker was RM18!!! Beef Burger is available too!